If you're signed up for Google+, you have kind of unlimited space. All photos under 2048*2048 does not count towards your free space. But now there is an automatic resizing. All photos uploaded in Google+ will be automatically resized to 2048 pixels (on their longest edge) and won't count towards your free storage quota. 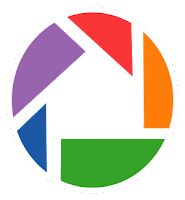 All photos uploaded to Picasa Web Albums over the free size limit will count towards your 1 GB of free storage. When you reach your storage limit, any new photos you upload to Picasa Web larger than the free size limit will be automatically resized to 2048 pixels (on their longest edge). Right. After you filled up your storage with photos larger than 2048*2048 all photos uploaded will be scaled down to 2048, but with no space limitation. Although no word on the 10.000 album / 1000 photos per album cap. That will make "unlimited" equal about 14.3 Terabyte with 1.5MB per photo. Fair enough.